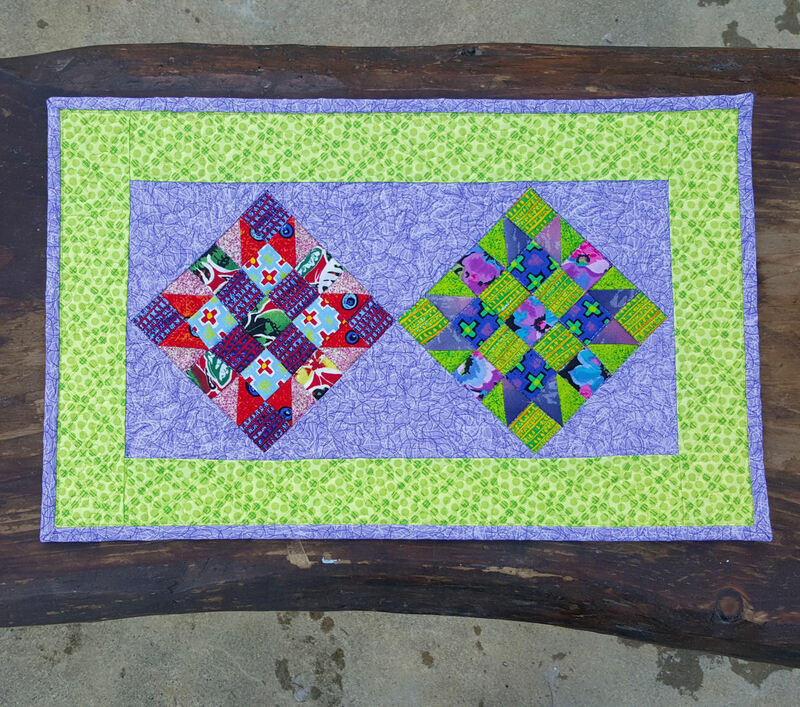 Keep the winter blues away with this bright and colorful “Purple Lime” table runner. 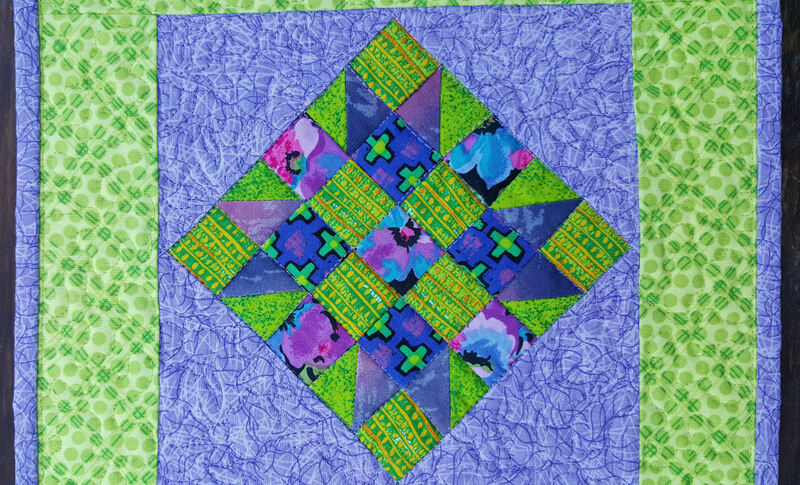 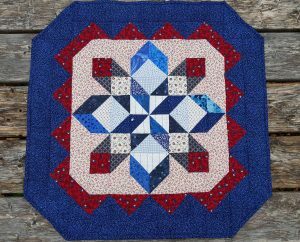 The cheerful, fruity greens, purples, and reds done up in the old time Sister’s Choice quilt block pattern is sure to brighten your table and your mood. 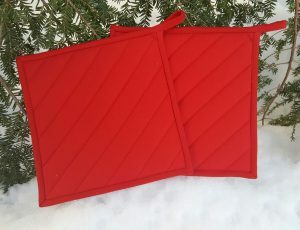 Categories: Spring, Summer, Table Runners, Winter. 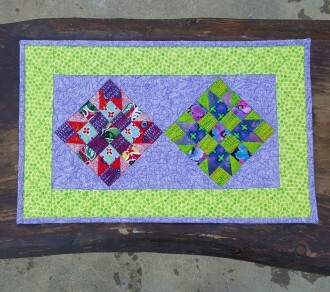 Keep the winter blues away with this bright and colorful “Purple Lime” table runner. 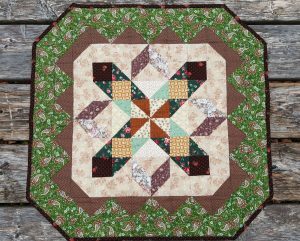 The cheerful, fruity greens, purples, and reds done up in the old time Sister’s Choice quilt block pattern is sure to brighten your table and your mood. 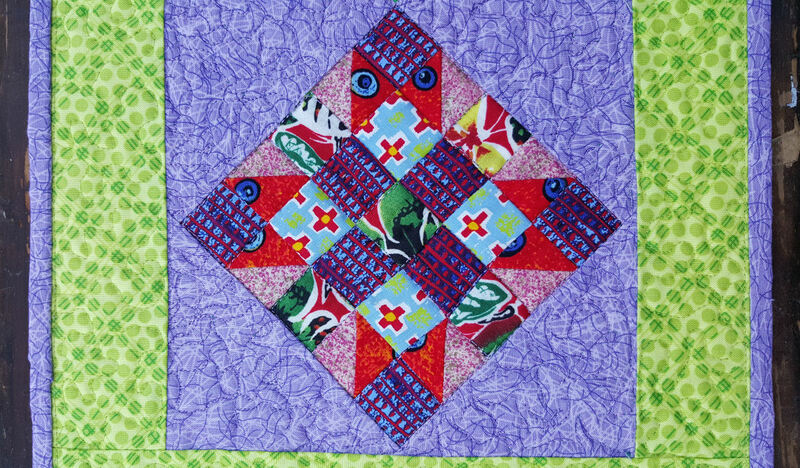 It can also be used as a placemat. 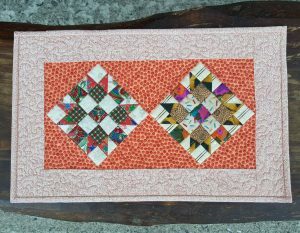 This table runner measures 10 7/8 x 17 3/8 inches. 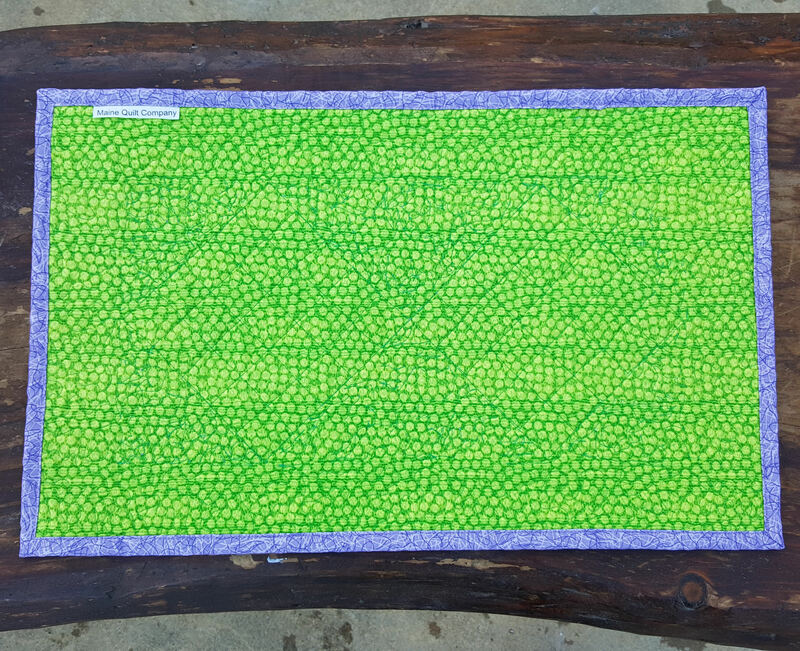 It has a single layer of Warm & Natural cotton batting in the middle and is finished with a lime green coordinating fabric on the back.